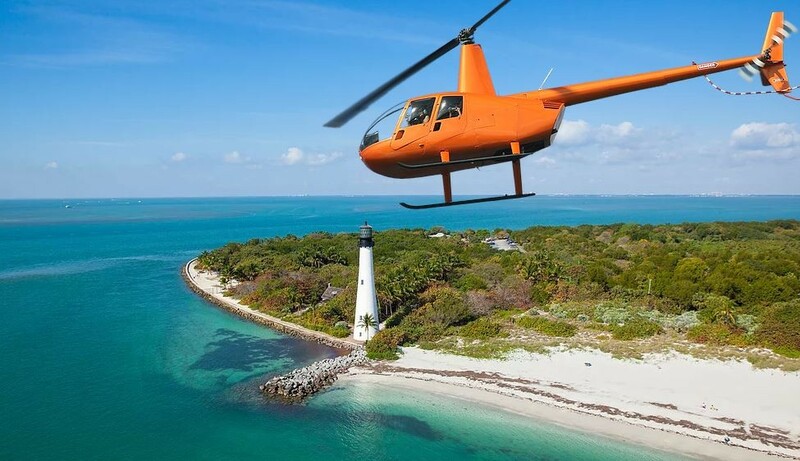 The key Biscayne Air Tour is the most complete Miami Air Tour. Whether you're a local or a visitor you will enjoy the one of a kind experience of seeing all of South Florida's landmarks and Destinations. This tour includes flying right along side the buildings of Downtown Miami, to the million dollar condos on Brickell Key, to flying or hovering right over Stiltsville. This narrated, unforgettable Miami Air Tour is also the perfect route to celebrate an anniversary or birthday. If you're looking for a special and unique way to 'pop the question' -Do it with the City of Miami and the Miami sunset behind you!